Navtech Client Reviews, Rating and Analysis Report. 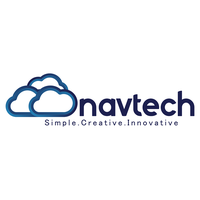 Navtech is a Cloud Computing Services with a vision to deliver secure and cost-effective solutions for public, private & hybrid cloud services. Our solutions enable our customers to harbor the benefits of a cloud platform without compromising its agility and efficiency. We transform creative ideas into innovative panaceas which enable our clients. The score shown in this report is based on minimal information about the company. We don't have enough data to validate Navtech's score. We manually review all key factors about a company and the system calculate the score along with customer feedback and market presence. Once we have full process completed for Navtech, you can take this report as a supporting data when choosing a company. Or, Contact us to complete the review of Navtech.